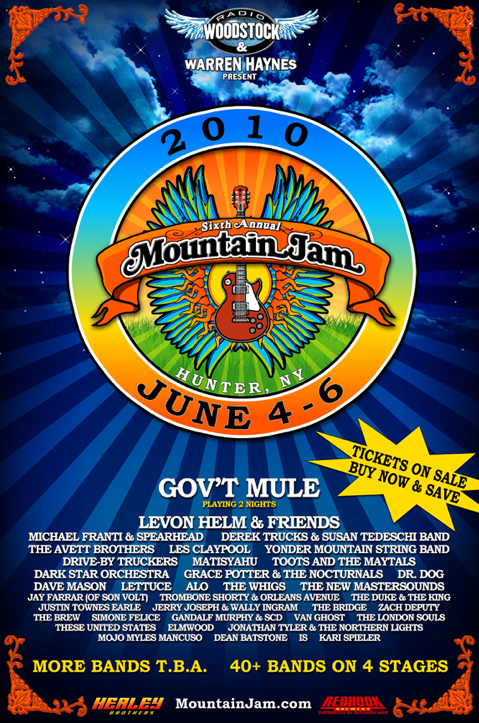 Mountain Jam VI will be held June 4th-6th, 2010 at Hunter Mountain, NY. Tickets are available here and currently going for $166.50 for a weekend camping pass. All Good 2010 will be held July 8th -11th, 2010 at Marvin’s Mountaintop in Masontown, WV. Tickets go on sale this Friday, Feb. 19th at Noon for early an bird price of $144 for a 4 day camping pass. Finally, while the Nateva Festival continues to delay their initial artist announcement (they have announced only The Flaming Lips and Derek Trucks/Susan Tedeschi Band thus far), they have confirmed that they will make the announcement this Friday, Feb. 19th. Additionally, the festival sent out a facebook message to its fans saying that they would be handing out flyers announcing their headliners AT the Furthur show this Thursday in Manchester, NH. 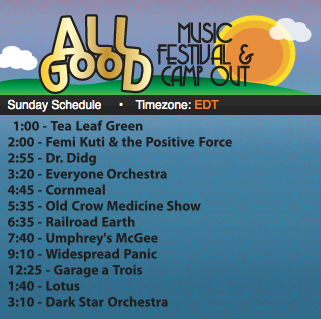 It seems clear that Furthur will be among the announcements, as has been rumored here and elsewhere on the web. 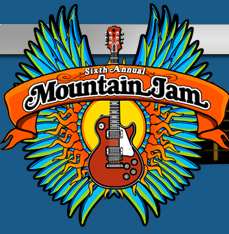 Other rumored acts include The Allman Brothers Band, Trey Anastasio Band, and Umphrey’s Mcgee. The inaugural Nateva Festival will take place July 2nd-4th, 2010 in Oxford, ME. Tickets are on-sale now for an early-bird price of $199 (3 day camping pass). The Gathering Of The Vibes festival, held July 23-26 in Bridgeport, CT, added Crosby, Stills, and Nash to the already stellar line-up as the closing act on Sunday. If you haven’t been, this festival is deadhead heaven and, in this blogger’s opinon, the highlight of the Northeast festival season. The Allman Brothers Band and Widespread panic announced a co-headlining tour for August and October of 2009. Thic tour promises to deliver a slew of guest appearances and cross-pollination between the bands. I can only imagine adding Jimmy Herring to the ABB arsenal to form a Haynes-Trucks-Herring trifecta. The Disco Biscuits announced the first round of artists that will appear at this summer’s Camp Bisco 8, held July 16-18 in Mariaville, NY, including Nas and Damian ‘Jr. 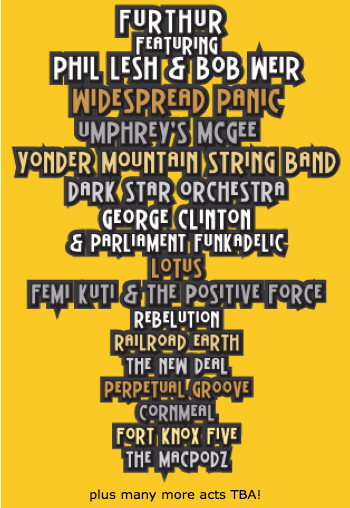 Gong’ Marley, STS9, Shpongle, Younger Brother, EOTO, OL, and many many more. The electronica-heavy festival continues to diversify its offering and keep things interesting.